Close To My Heart's new alphabet stamp sets are some of my favorite yet! They introduced four new ones this season: Bohemian, Polka Dot, Bingo and Token. Today, I'll show you two of those, and hopefully I'll have time this week to show you the other two. I've got my AORN fundraiser this weekend and there's lots to do to get ready all week. 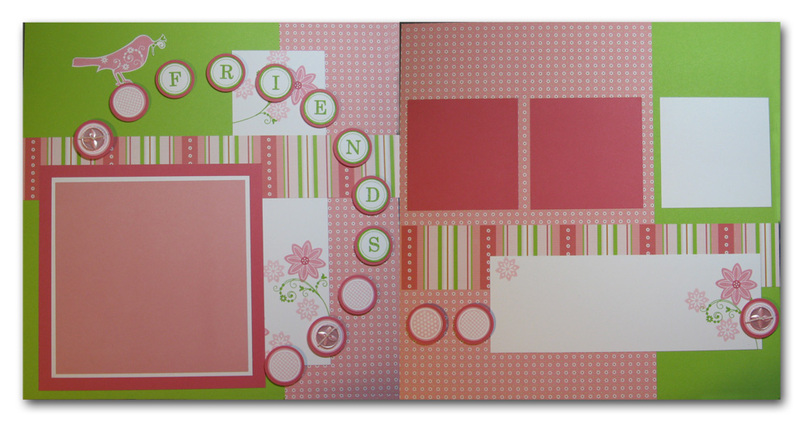 The card design comes from the Wishes book using the "Confidential" blueprint. The Bingo Alphabet, of course, is great fun to play with and create all kinds of combinations. 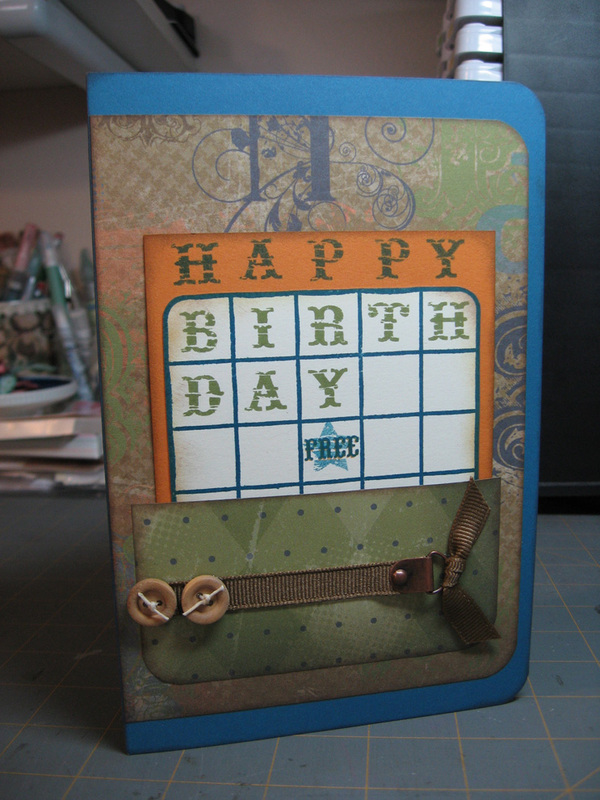 This card is more of a masculine one using the new Lucky papers and wooden buttons. 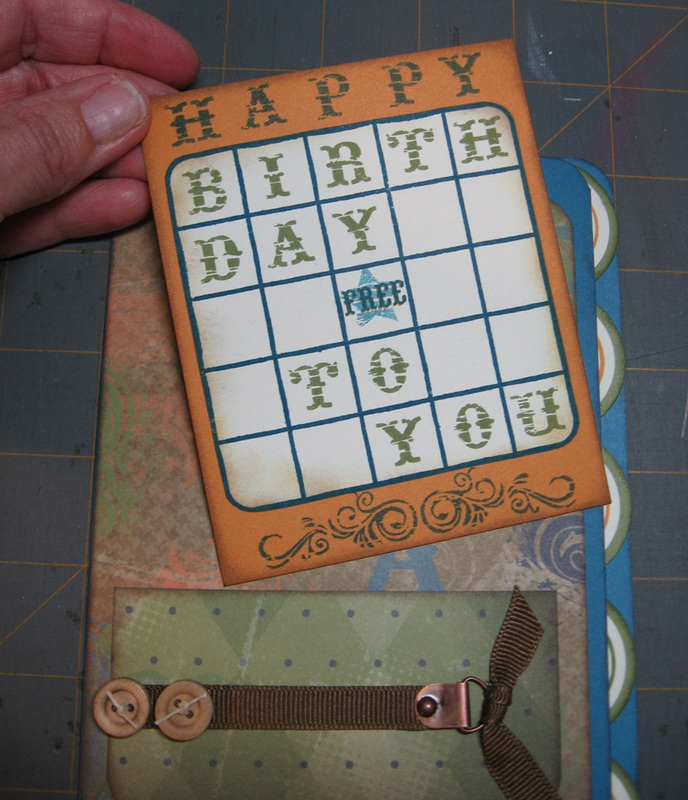 The bingo card pulls out from its pocket revealing the rest of the birthday message. 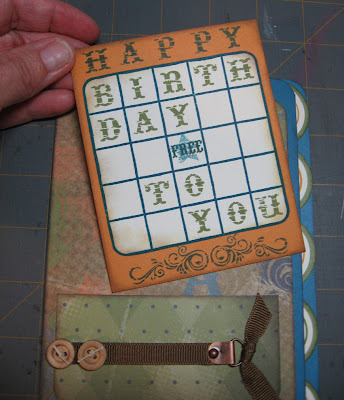 The inside shows off the Token Alphabet which is so easy to use with your circle punches. I can see so many uses for this one. For a more girly look, I used Pear ink to stamp the Token Alphabet on this layout. 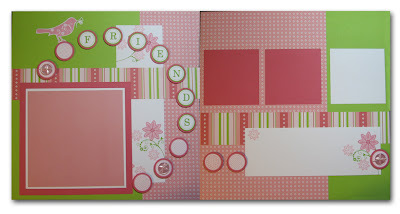 These pages are part of my Cherish Club monthly club gathering for March. I love how the Magic book gives us a CD in the back with printable templates on it. It made placement of these circles so easy and precise! Thanks for stopping by. 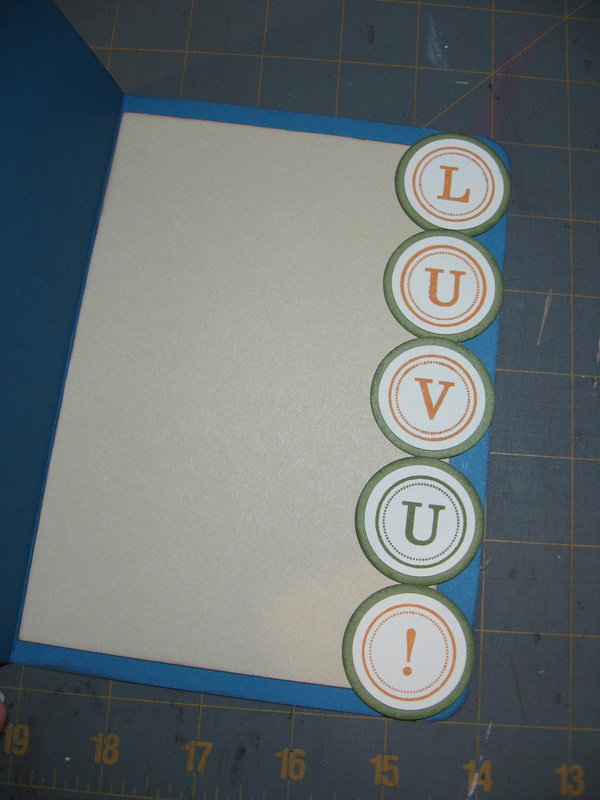 Stay tuned for more this week using two more alphabet sets. Meanwhile, enjoy your Monday! I absolutely love the Bohemian alphas!!! I love all of our new Alpha sets too! Don't forget the Pennant alphabet, I have it but didn't use it yet. I like the Bingo card idea TFS!